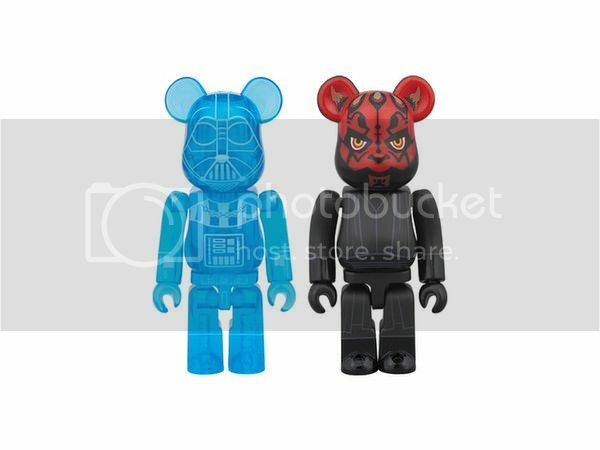 HLJ just listed a new Be@rbrick 2-pack -- a holographic Darth Vader with Darth Maul. I have nothing to add about the above, but Medicom periodically do Star Wars be@rbricks like the recent Boba 1000% etc. But I'm curious to see if the go in to TFA territory with be@rbricks and Mafex, nothing announced yet, but can they pass up that sort of cash in? Things I learnt today: Medicom are now doing xenomorph be@rbricks from Alien and Aliens. I think I may get the 100% be@r from Alien. I think the last be@rbrick I bought was the (edit: first) Wicket re-release two-pack (the exclusive one with Paploo).